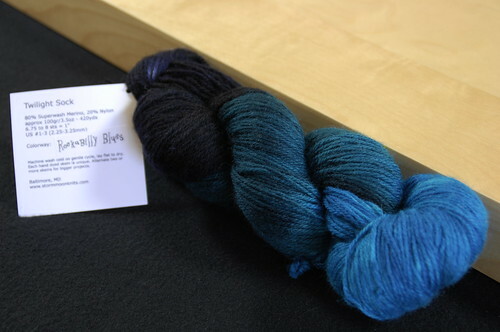 While at Stitches, I had the pleasure of meeting Lindsay of Storm Moon Knits (her shop’s not fully up just yet). She’s absolutely darling, and her yarns? GORGEOUS. I was drooling over one called “Let There Be Lips” (Yay Rocky Horror) but missed out on it. 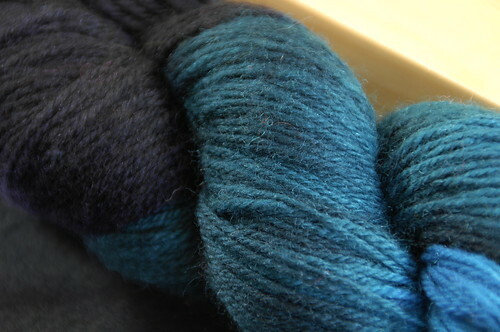 I did, however, find two fabulous colors that I was able to snag. I picked it up at least five times and kept putting it back before I finally realized that if I picked it up that many times, I clearly loved it, and should just BUY it. (Yes, I’m a little slow sometimes)Second – “Rockabilly Blues”. I picked this up for Kris. I really thought he’d like it, and I was right. When I showed it to him, he loved it. So, there will be kickass socks in the future for both of us. Hee hee, I totally missed that quote. We tend to skip over that episode when we watch the Buff. 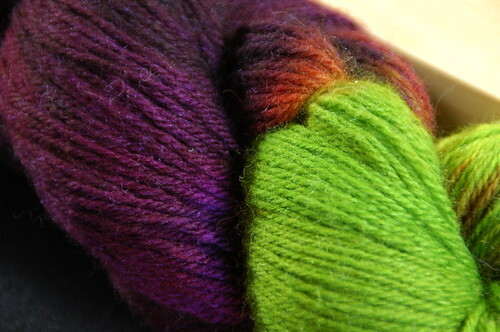 But I can agree–yarn pron nice! Now I’m going to be thinging deep thoughts all day. I like the Rockabilly Blues, hadn’t seen that one! 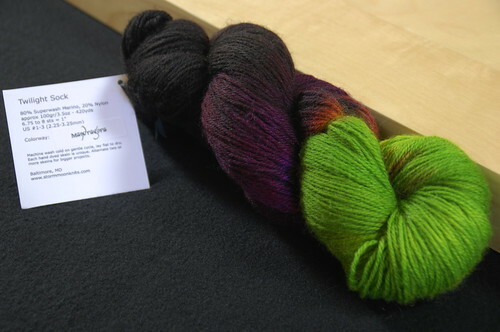 I really loved her yarns. Both of those are beautiful. 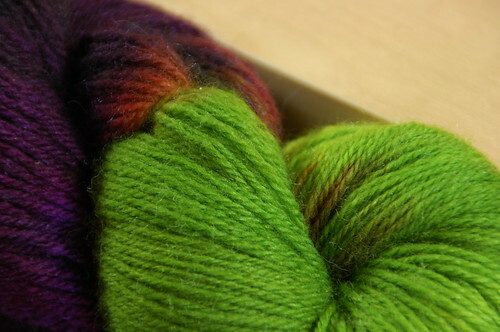 I also like the Foggy Bottom yarn from Neighborhood Fiber Co. The day I can see some yarn pron AND get a Buffy fix is a great day indeed. I don’t know the quote but that’s my kinda weather!! hahaha…nice quote…most people do tend to skip that episode as being well…dumb. me? i kinda liked it, just don’t tell anyone! 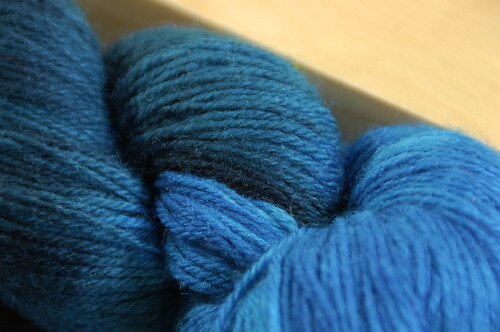 Love the yarns, esp. the blues! Those are stunning. I love the bright green! Next to the purple and brown, it really pops. so pretty! I love the blues too!